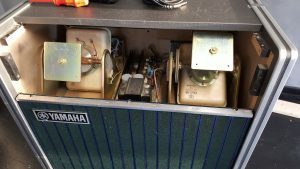 Got a Yamaha RA-100 in for repair. A quite nice looking solidstate amp with the feature of two rotary speakers. 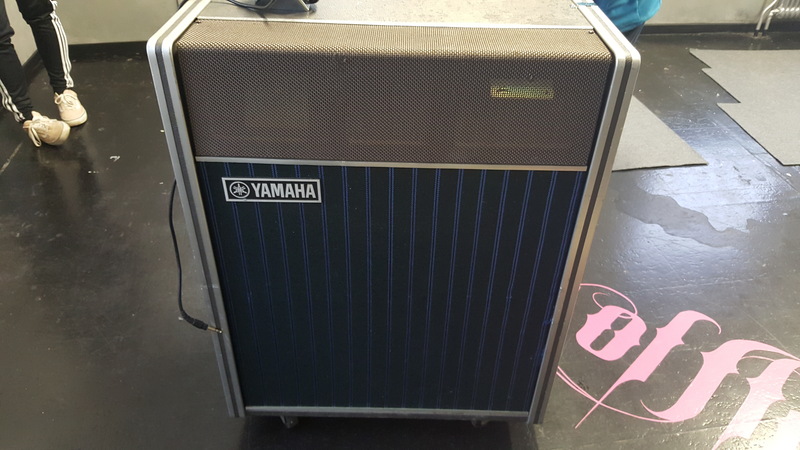 It’s in a nice condition but it blows fuses in the poweramp amp. 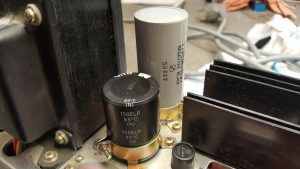 Here’s a caption of the rotary speakers and the poweramp. 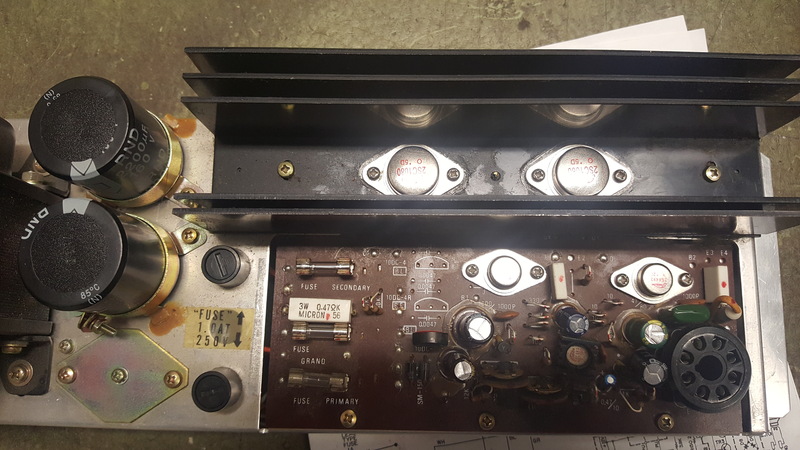 I ripped the poweramp out and after some measurements I found that the power trannys on side was blown, causing the fuses to blow. I replaced the power and drive trannys for both side and had the circuitboard recaped since some of the electrolytic capacitors was in a bad state. Look at the size of an old electrolytic capacitor from the -70:s compared to a modern one with much higher voltage rating. The circuitboard totally recaped with new power and drive transistors. So it was finally time to hook everything up and fire it up. Here’s a video from the tryout. I must say it was nice bringing this one back to life.